Just a quick page here, putting on strip 18. Removing the old tape, getting ready for the next strip. 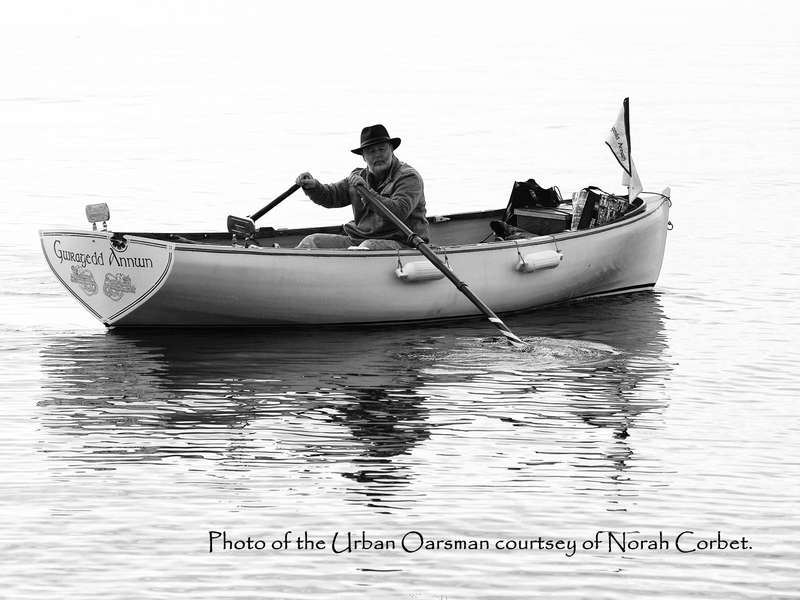 We have already chosen the next two strips, they are sitting on top of the canoe. Taking the straps off to put the two new strips under. 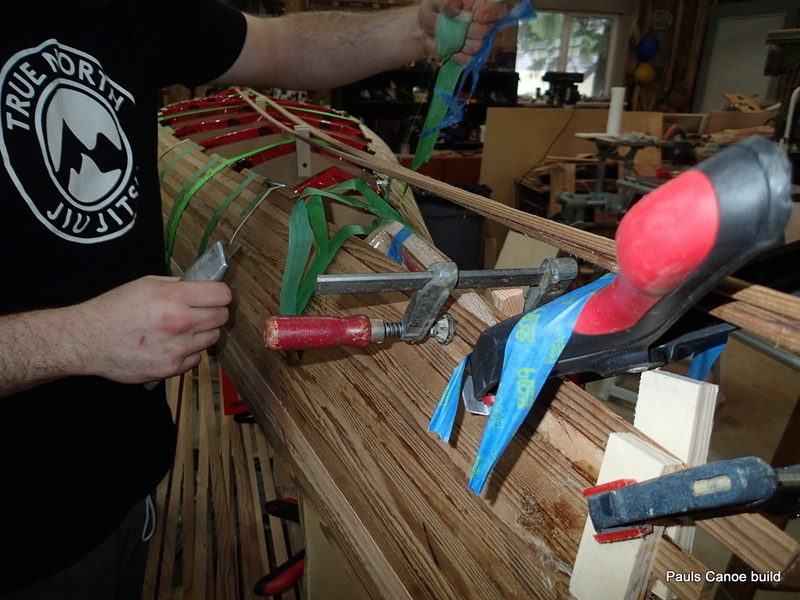 Paul then glues up the coves and we tighten up the straps, and begin taping the strips together. 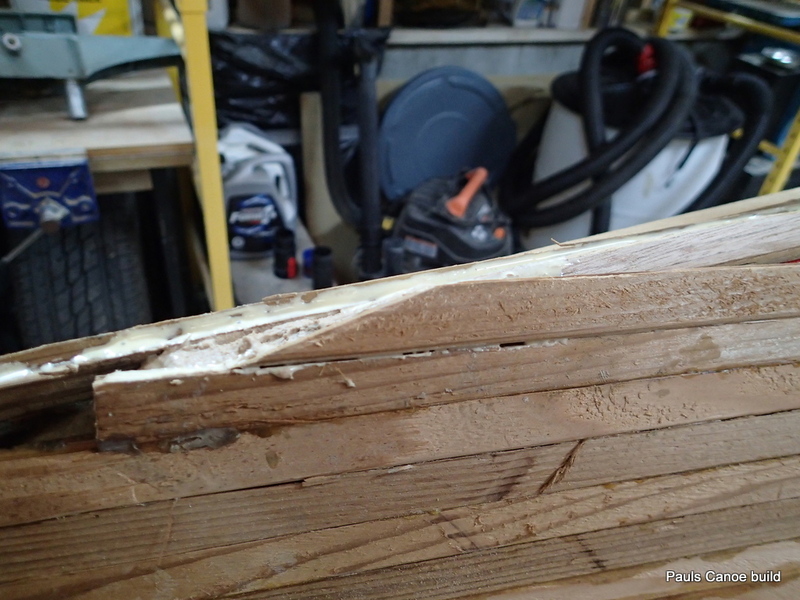 The strips need to be trimmed near the ends…. 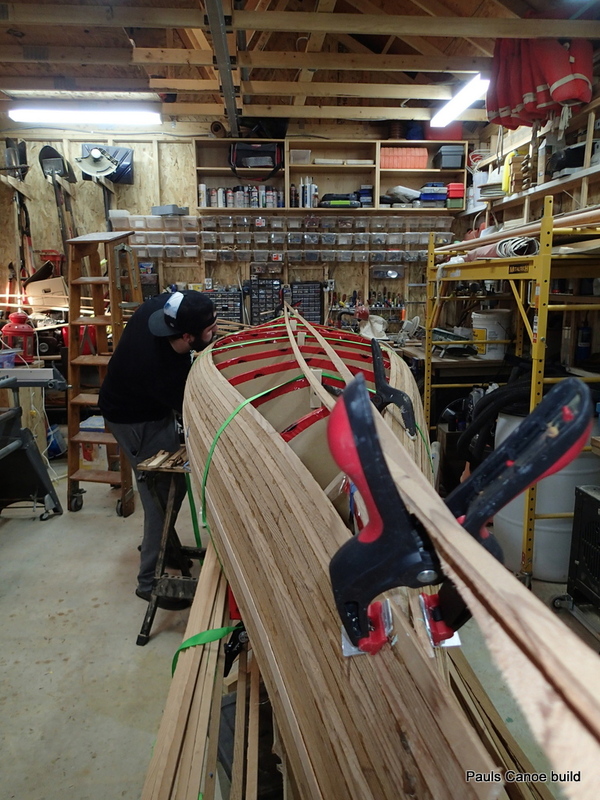 As we get closer to the keel/stem piece, we have to trim the strips so that they can lie together along the stem-piece without interfering with each other. Stem strapped down so that he strips touch the moulds. 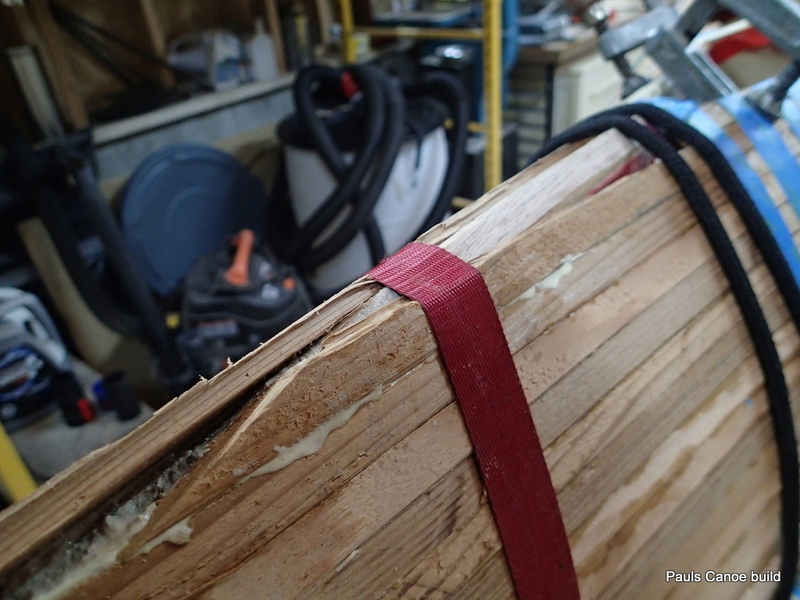 I really like using straps to hold the strips to the moulds. 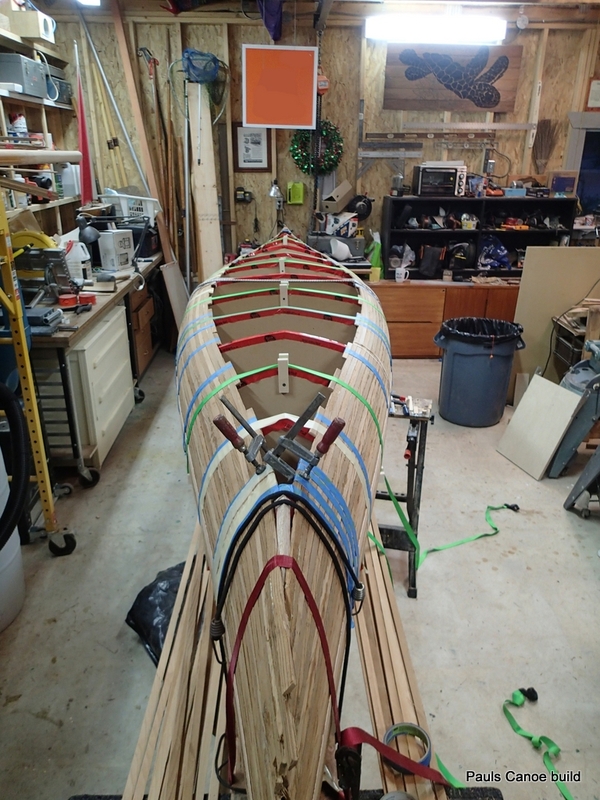 If I build another canoe, or any strip built boat, I will use straps at every mould station. 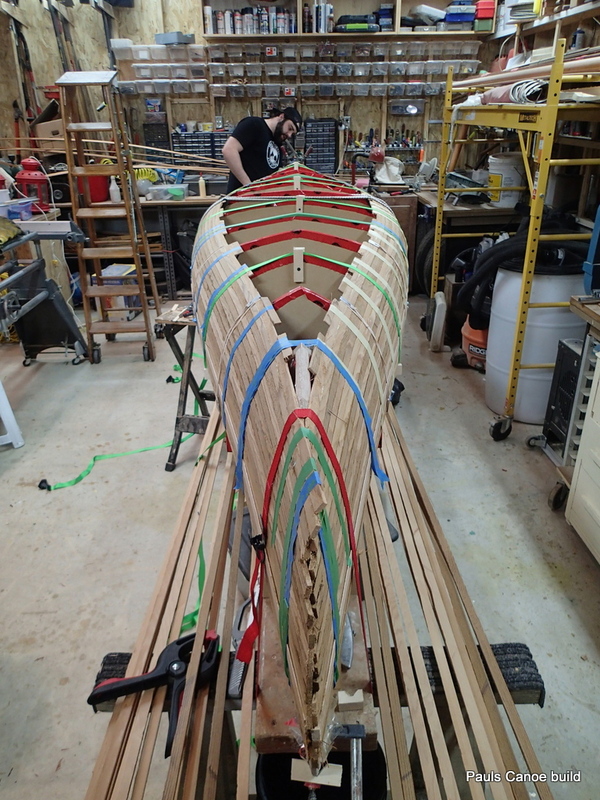 Paul’s Canoe Build, strip 18, looking from North to South. We will (maybe) be able to put on one more pair of strips before we have to do one side at a time. You always need one more clamp……South to North view.